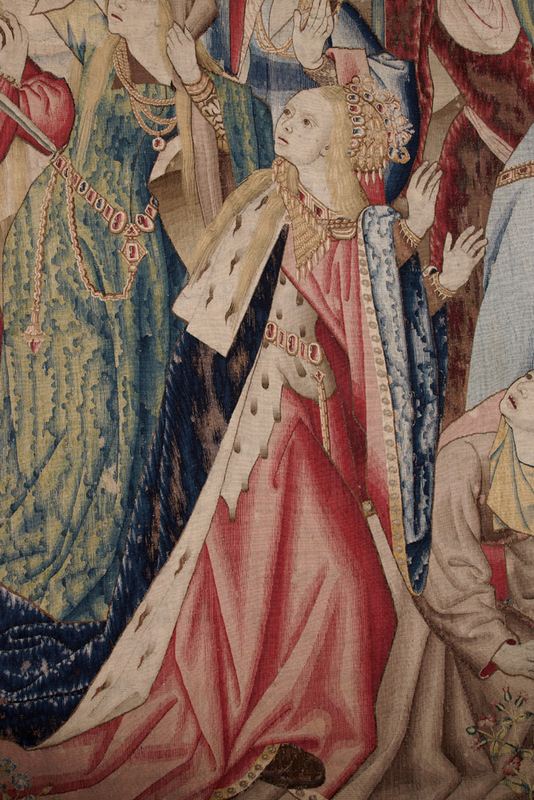 Tapestries were a popular form of wall covering in the late middle ages, not only as decoration but also for the protection they provided from the damp, cold stone walls of buildings. 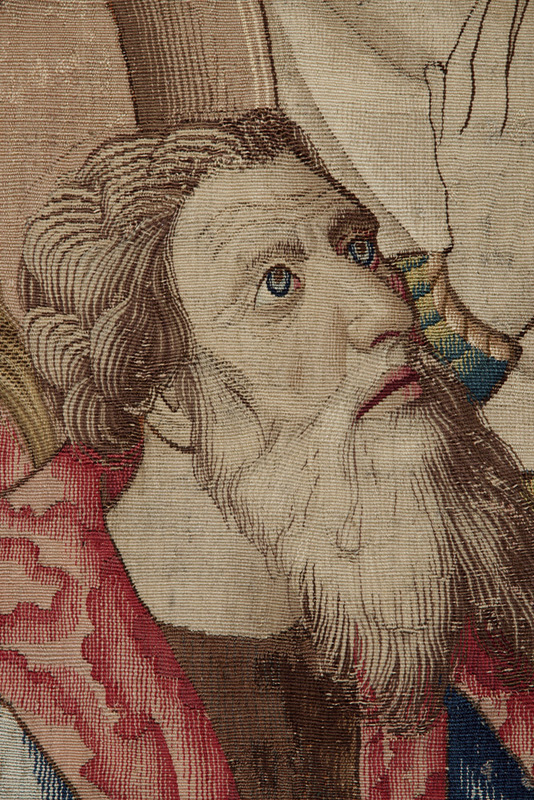 By about 1400 tapestry weaving had reached a high degree of perfection. 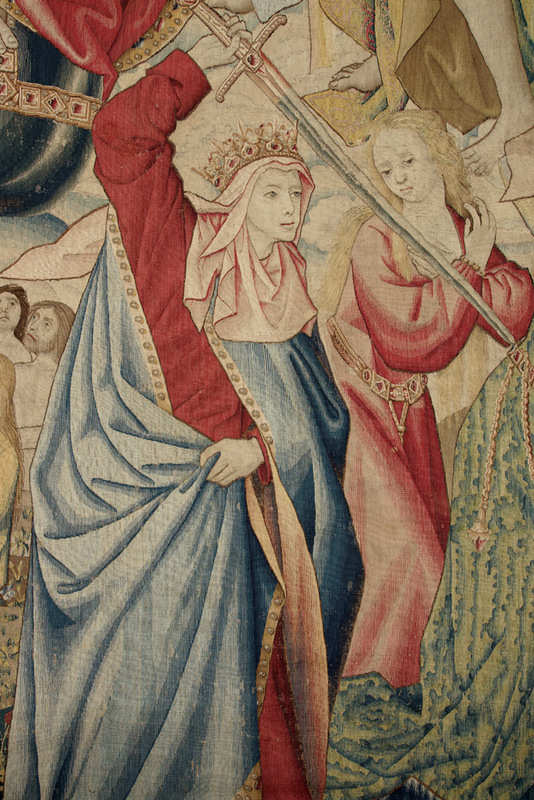 This large work was probably woven in Brussels, which dominated the tapestry-manufacturing industry in Europe from the mid-fifteenth century through the end of the seventeenth. 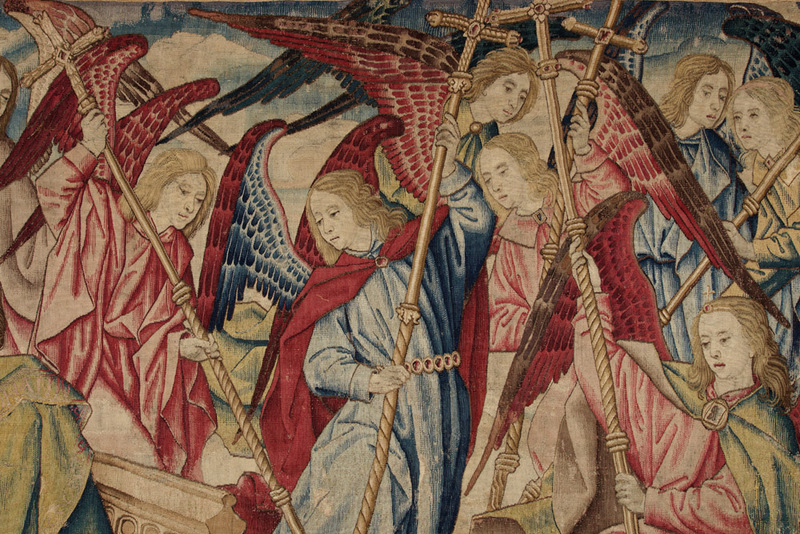 Over one hundred almost life-size figures make up a complex representation of the Last Judgment. 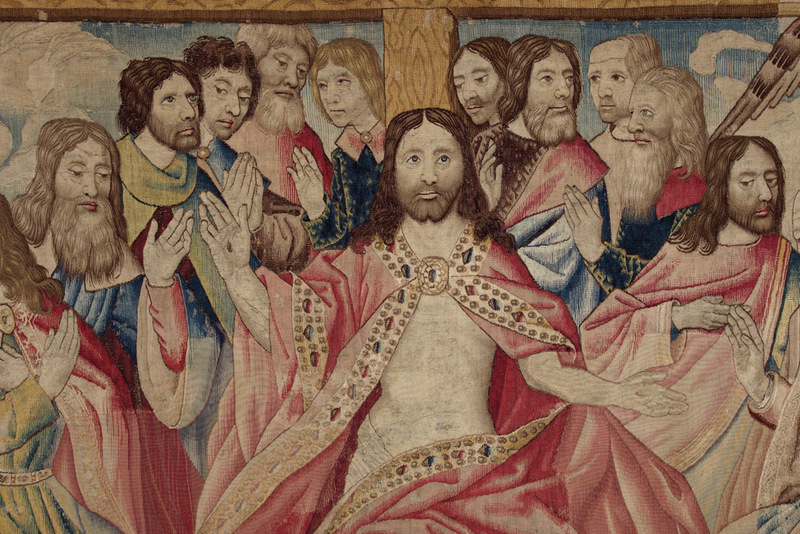 Seated at the center is Christ in Majesty, who separates the blessed on the left from the damned on the right. The artist who designed the work may well have been Hugo van der Goes (1440?-82), one of the leading Flemish painters of the time.